A new and 'very aggressive' airline phishing attack was just spotted, and it's one with such a high success rate that even security experts are baffled. It was spotted by Barracuda, and its experts are saying this new attack has a success rate of 90 per cent. The attack combines impersonation, advanced persistent threats and phishing, giving the attackers long-term stealth access to a myriad of corporate networks. 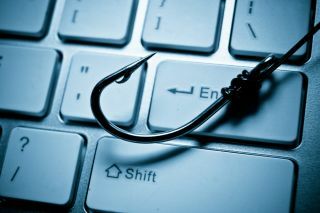 Barracuda failed to say who is behind the attack, but it did say that the attackers' usual targets include logistics, shipping, manufacturing, and pretty much any other industry which requires a lot of travel. The attacks are often 'extremely well personalised', Barracuda claims. Emails are prepared with surgical precision, often coming with destination, airline and prices so carefully selected that they look totally legitimate. The attack itself is all the usual shenanigans. The victim would get an email about a flight, and in it, an attachment with malware. “Companies should use a multi-layered security approach to block this type of attack,” Barracuda says in a blog post here.